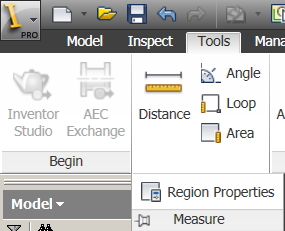 Two seldom used measuring tools found within the Autodesk Inventor software is the “Region Properties,” and “Cross-Section Analysis.” These measuring tools can be found in both the part environment, and also the assembly environment. In the assembly environment, the part must be active. Both tools can be used to calculate the Physical Properties (Centroid, Moments of Inertia, and so on). 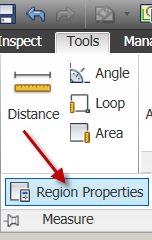 The purpose of the Region Properties tool is to evaluate the area, perimeter, and the Area Moment of Inertia properties of sketch loops. 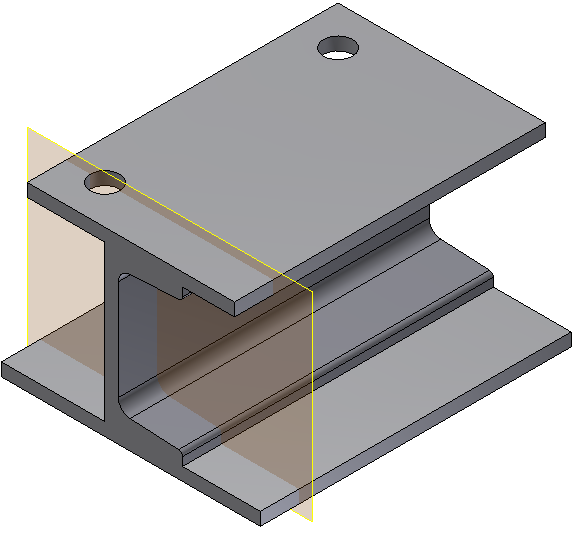 All measurements are taken from the sketch coordinate system. 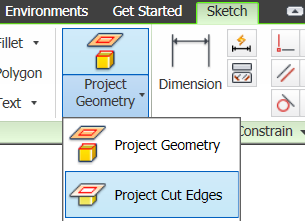 Area and Perimeter: provides cumulative area and perimeter values if multiple sketch loops are selected. Centroid Location: displays the X and Y distances from Sketch origin to Centroid. Inertial with respect to Sketch Origin: provides Inertia Tensor and Polar Moment with respect to the sketch origin. 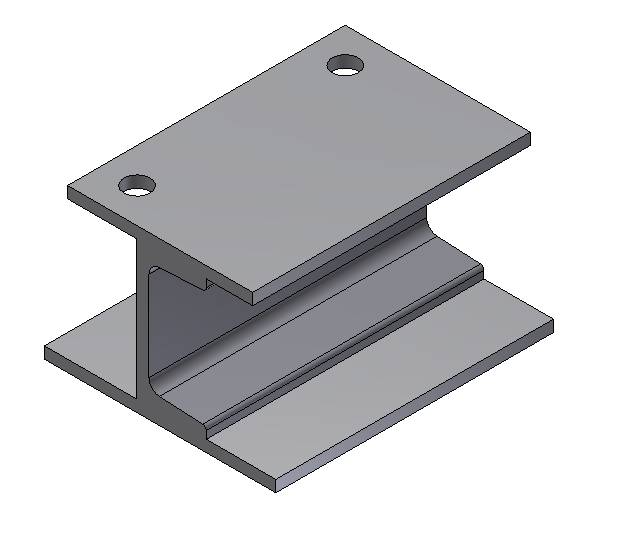 You’ve created a small built-up section of three structural steel members, and two holes have been added to the upper plate. 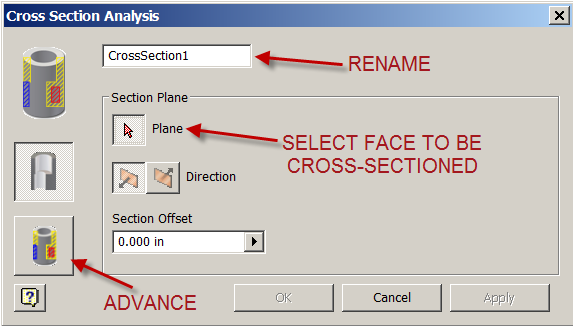 You want to create a section thru the first hole, and have the Inventor 2013 software calculate the Region Properties thru this section. 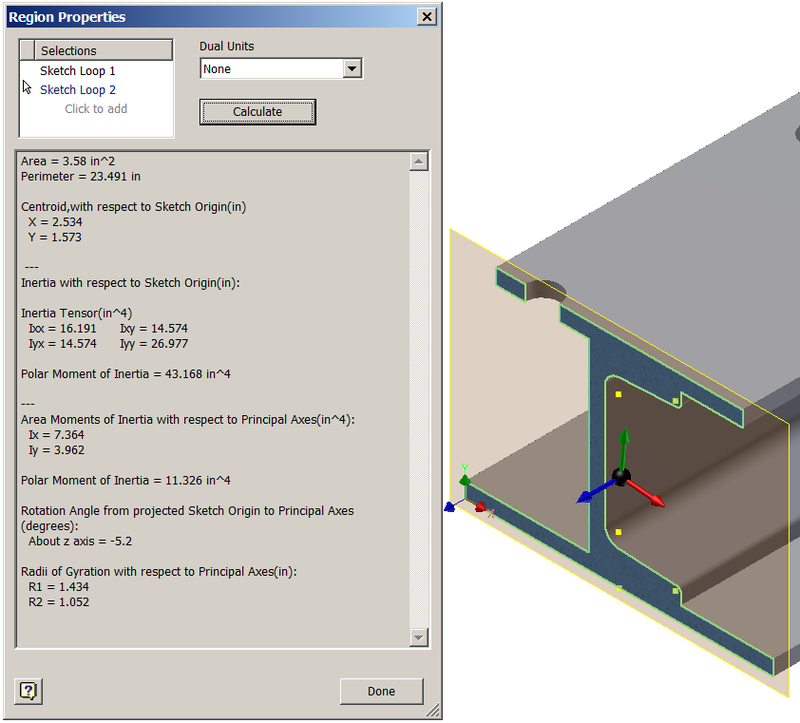 Without using the Inventor 2013 software, manual calculations can be time consuming and labor intensive to calculate each structural member and add them together to find the Moment of Inertia (Ix or Iy), Polar Moment of Inertia (J) or Radius of Gyration (r). 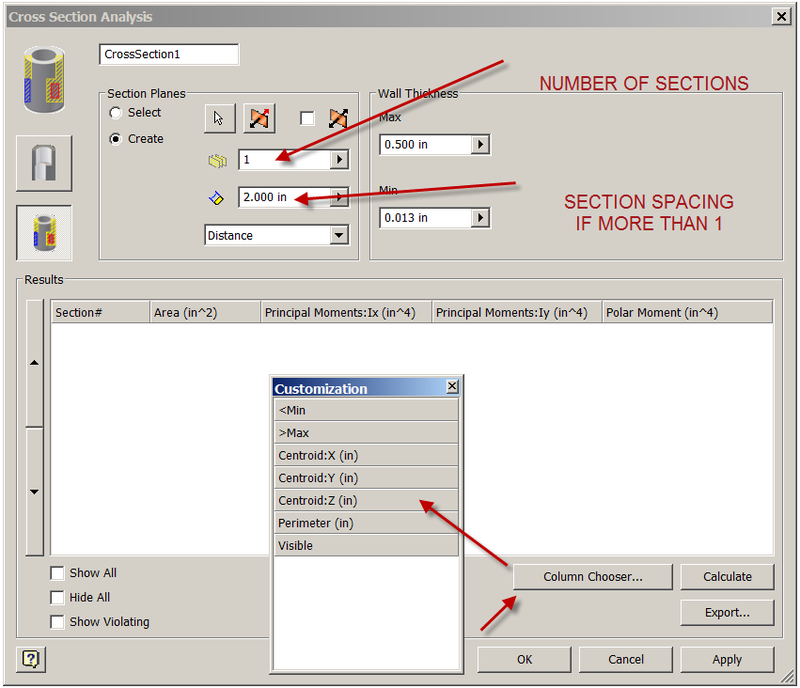 8) If Dual Units are required, select the appropriate units from the dropdown. 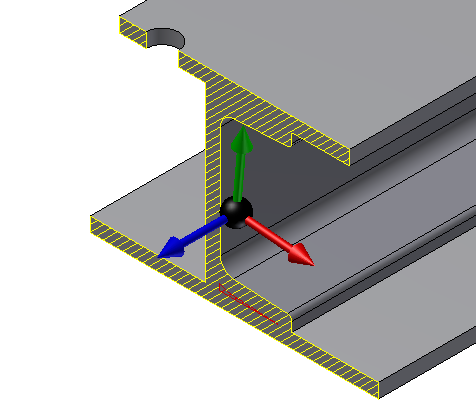 The purpose of the Cross-Section Analysis Tool is to provide basic (Simple) or detailed (Advanced) information about the interior of solid parts, and to analyze whether the part thickness falls within the minimum and maximum thickness settings. A corresponding cross section graphic is displayed in the graphics window. 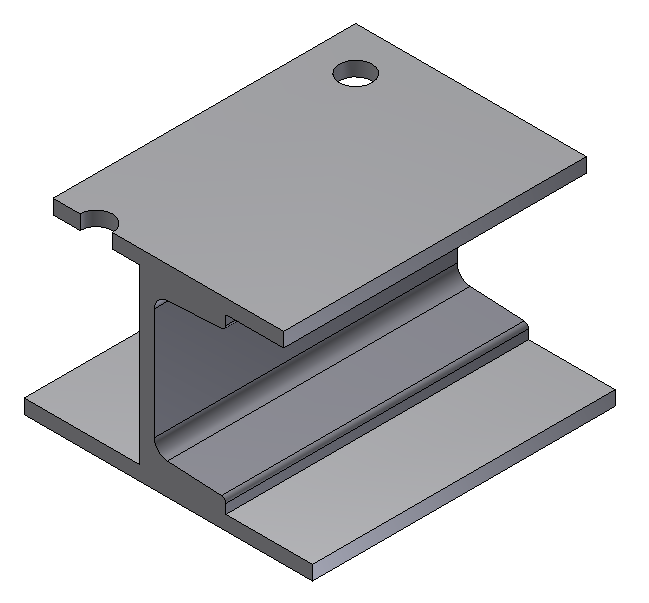 1) The following image shows the part after it has been Split, and the front section removed. Hopefully this was able to help you. 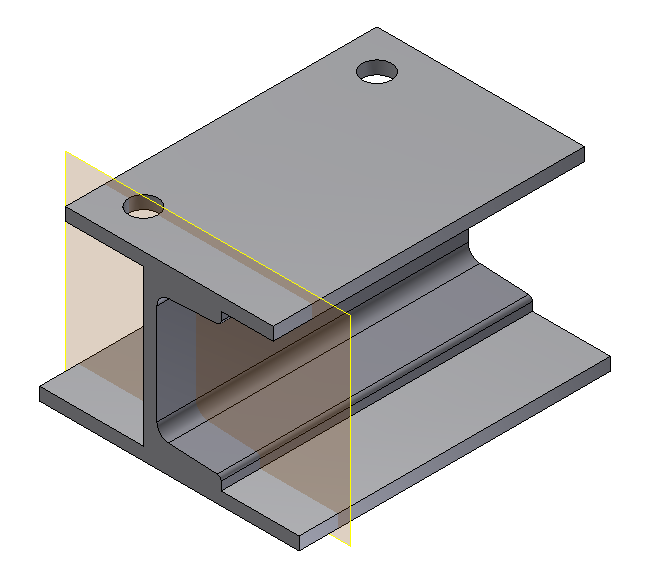 Let me know if there are any other topics you would like to hear about regarding designing in Inventor. Also check back each week because I am going to add a few more in March. Robert Reid graduated from Middlesex College in New Jersey with a Degree in Mechanical Engineering Technology. With over 25 years of Industrial Machine Design, including Wire Drawing Machinery, Plastic Processing Machinery, & Packaging Machinery, Robert has held various positions within the workforce, including, Manager of Engineering; Sheet Extrusion Dept, Manager of Engineering, Chief Design Engineer. He is currently an Autodesk Inventor Certified Expert. its really very helpful for beginners like me. Thank you so much. I tried to calculate the Radius of gyration of a flywheel in inventor. 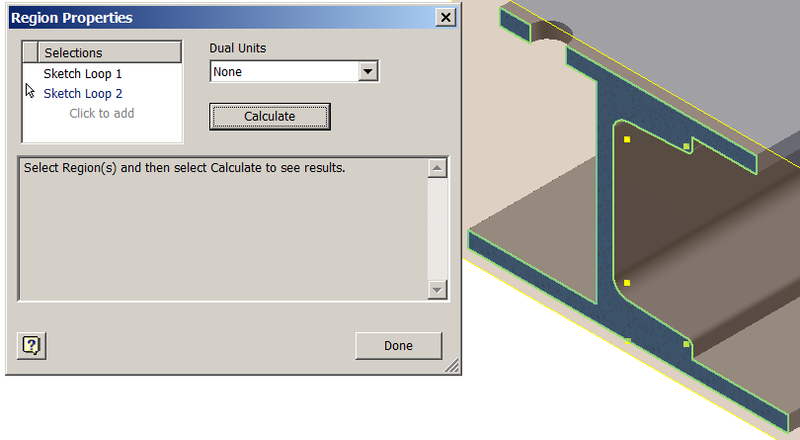 NX and Catia calculate same same and it was true. 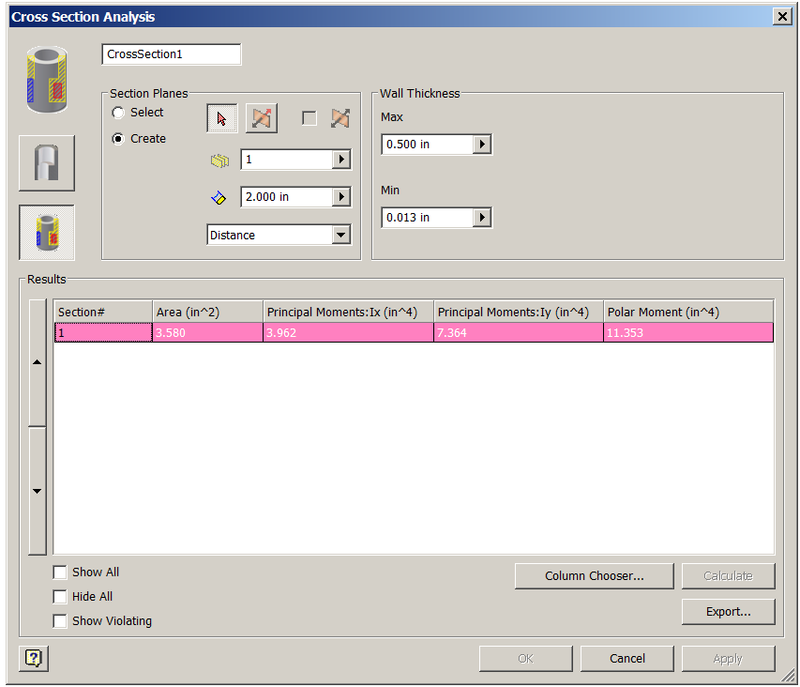 But in inventor the calculate is incorrect . please help me because inventor is my base software. And my second problem is, I cant measure the angle of cone. (I know that I can get the measure from sketch). 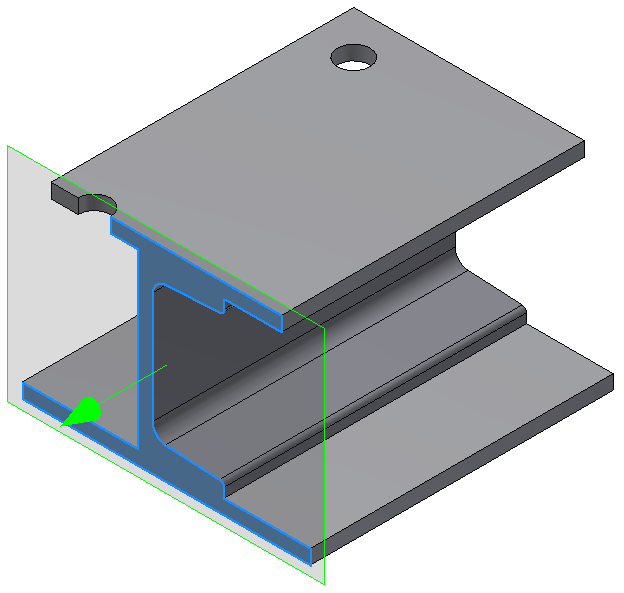 Why measuring in inventor is too weak.